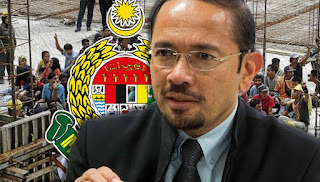 IT'S TOFFEE'S TURN: IMMIGRATION DEPARTMENT DG'S THREAT SEEMS TO BE THE EASY WAY OUT? IMMIGRATION DEPARTMENT DG'S THREAT SEEMS TO BE THE EASY WAY OUT? OR IT THERE SOMETHING MORE SINISTER BEHIND THAT MOVE? WHY CAN'T COMMON SENSE JUST PREVAIL? IF INDUSTRY DOES WHAT HE IS SAYING OUR ILLEGAL PROBLEMS WILL GET ONLY WORSE. DG MUST LOOK AT WAYS OF PARTNERING WITH INDUSTRY TO SOLVE THE ILLEGAL ISSUE NOT THREATEN THEM. has been steadily rising year on year and instead of threatening employers who are the backbone of our economy, he should address ways to stem out the illegal immigrant problem. Mustafar Ali must first realise this is not an employer problem but a bigger and more serious Immigration Department problem that has been left unsolved for years because there has been no effective action. He needs to do a root cause analysis and come out with solution's. A huge portion of illegal immigrants are those who came in legally and then for some reason or other have absconded from their employers thus becoming illegal immigrants, others in huge numbers keep coming into the country via Thailand, via the sea, over the causeway and even via our airports and as bona fide tourists and students who once they are in refuse to go back. This is a problem of the department not employers, the illegal immigrant has been coming in illegallyover the years and the department has to find ways to put a stop to these illegal entries. These illegals are a social problem and employers who employ them have actually offered a solution to this social problem so instead of trying to threaten them with harsh actions the DG should use them as partners to control immigration and stem out the illegal problem with effective measures. It is now no secret that in more ways than one, officers of the department itself were responsible for this problem via the selling of passports to foreigners as was revealed earlier, they could have been involved in the letting in of many illegal immigrants but I'll not dare guess the numbers and this was compounded by the illegal IC issue in Sabah and many suspect even in the peninsular. Thousands, if not more even maybe to the extent of exceeding a million illegal immigrants reside in Malaysia and are part of our economy many to the disadvantage of the bona fide Malaysian small traders. A successful Bangla did he come here to operate a Pasar Malam stall? There are foreigners who came into this country as workers, ran away from their employers and I know at least one who holds a key post managing his own company in the country today, and that too after overstaying for many years after which he managed to get back to his native land and return as the owner of his own business, which he actually owned as an illegal immigrant and in turn married anther illegal Indonesian and has a child born in Malaysia. Foreigners doing business in Malaysia is common place not big huge business but small business that Malaysians could well be doing especially today. 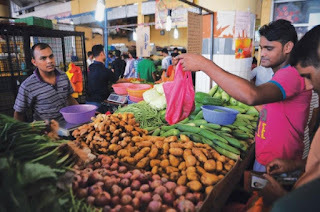 Indonesian's and Bangladeshis are now independent contractors plying their trade here in Malaysia, some registered legally and others without a license and without being registered as such and most probably plying their trade free of tax, whilst milking our economy. If there are illegal workers in factories and in other industries, then the Immigration department should do the most sensible thing; get them registered and keep them as workers with a legal work permit with those employers who employ them, rather than go to punish them, treat these employers as your partners and using them come out with some effective solutions. Allow employers to hold the passports of the workers and issue them with a security Pass signed by a specific person in the Company's management. The pass should contain a photo copy of the employees passport identification page and a copy of his work permit signed and stamped by the employer.This pass should be valid for only three months at a time and then renewed. The authorities have the right to call for the passport of any employee to whom this pass is issued at any time for inspection and audit. The workers pass should be accepted as a valid identification document only in the district he resides and works in by the police and immigration, in and he must be told just that, his passport must be kept for safe keeping and embassies should not issue a passport to their nationals unless there is a valid police report made here in Malaysia. If he intends to leave the district the employer has to put reasonable controls in place to ensure he returns if the employer si willing to allow him to do so , but this should not be encouraged. Employers will have the task of ensuring that these workers do not abscond, if they do the employer will have to be fined and once the worker is caught he should be sent back to his country of origin without any delay. These illegal workers should be paid the minimum wage and offered accommodation and their levies are to be paid by the employer. They should enjoy all benefits enjoyed by their Malaysian counterparts inclusive of Bonus and salary increments during their tenure here in Malaysia. After a five year period these workers should be repatriated and new ones brought in on that way industry benefits as the new worker who arrives will then begin at the lowest salary on the scale and work upwards for a period of five years, it keeps our wages competitive, but as the minimum wage rises the scale has to be adjusted accordingly. Factory canteens or hostels canteens must provide reasonably good and nutritious meals to these foreign workers at a reasonable cost, and not expensive to the level the worker is broke by the months end. It will be a good idea for the employer to deduct a sum of 100 ringgit from the the workers wages and keep it as a saving for the employee.The worker must be told that this is actually to defray any cost iun case he absconds. This amount of money will be returned to him at the end of the five year contract that will ensure that the worker has RM6000 on the day his contract ends and that is a good amount to take back home. The worker will forfeit his right to this sum if he is dismissed from employment for cause or if he absconds. The Company has to make a provision of a minimum of RM50 per month per worker so that he receives a gratuity of a minimum of RM3000 at the end of the contract, this coupled with his savings of RM100 per month and his own personal savings if any will give the worker the opportunity to take home a minimum of RM9000 at the end of his contract. Once the worker realises this,it is a great motivation for him to remain and work diligently with his employer, as he may lose all these if he doesn't. Once the worker has accumulated more than RM3000 it is very unlikely that he will abscond, moreover if treated fairly and with his overtime income if any the worker will prove to be very productive. What I am suggesting is a system I personally put in place, where employees were extremely productive and even offered to work during the Hari Raya Holidays for which they were rewarded with a fast food of their choice which was a great hit besides Holiday wages for the third day of Hari Raya which was not a Public Holiday. The Company performed beyond targeted expectations year on year and workers got as much as even four months salary as bonus. Employers who choose to hire foreign workers must be aware that there is a cost to hire these workers, and if they are willing to pay that cost why not, but all said and done the Malaysian worker must be given the first choice and if they Malaysian worker takes the job his hire is for a permanent tenure up till retirement at age 60 as the law now applies his total cost to the company must not be inferior to that of the foreign worker at point of entry when the Malaysian worker begins employment. Instead of threatening employers in industry with these half past six measures that are punitive and in "accordance with the Law" and then allowing them to bring in workers from Bangladesh as has been agreed upon by our Minister of Home affairs for which we believe his brother has a hand, let us legalise these people who are already on the job, under these or more stringent terms and let things move on rather than increase the number of foreigners many of whom will turn illegal anyway as has been the case for so long. The terms and conditions mentioned above must apply to all foreign labour, employers must be able to pay the cost for foreign labour and not just rely on them as a cheap source at the expense of the Malaysian worker. The joint population of the legal and illegal immigrants in the country today far exceeds the number of Indians and Orang Asli put together I am told. The Immigration department should step up its efforts to stem out this inflow of the illegals, not bring them in cohorts with people in the department and other government agencies and then once in treat them as slaves and criminals. Malaysians in general are generous and kind and we shall not allow another human being to be trampled upon whilst he is trying to survive, what we should do is to check the source of the problem and rectify our mistakes of the past, and in doing that stop the influx of foreign labour. Our priority now must be to legalsie these illegal foreign workers without using third parties to add cost to the employer, we already have a fat government service and they shoudl be used to run this exercise till we have legalised the current batch of illegal foreign workers to the fullest, in a very transparent manner so that the illegals can be legalised without fear and the process made easy for employers, given an opportunity to earn a descent living and the facility to save and then repatriated after a reasonable tenure in the country. Why can't this be done instead of bringing in 1.5 million Banglas? Or is this a sinister move to get employers to employ the 1.5 million quota the government has given the Bangladeshis, that figure not being met because there is a lack of demand and is this an arm twister being carried out in the interested parties who are unable to benefit from fulfilling the 1.5 million quota of Bangladeshi workers?